Touch down at the SureStay Plus Hotel by Best Western San Antonio Airport, with comfortable accommodations at an affordable rate near Blossom Atlantic Center. 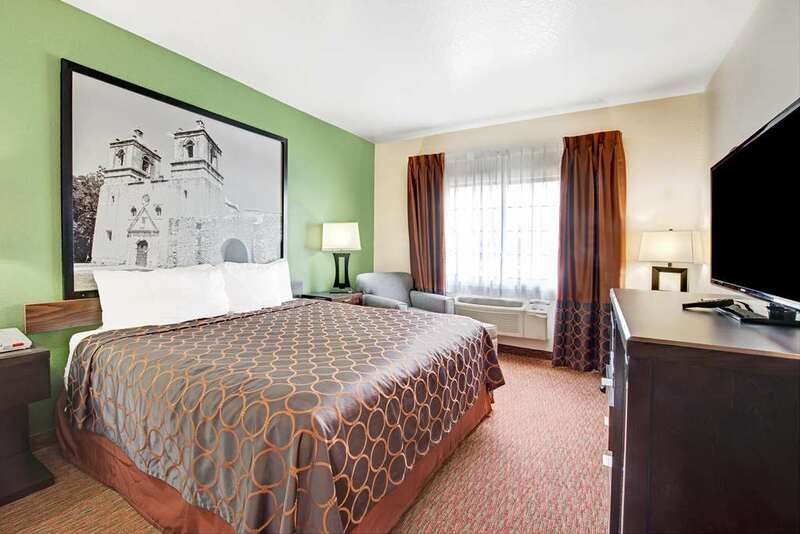 Located just off the I-410 and Highway 281 intersection and convenient to downtown attractions like the Riverwalk and The Alamo our hotel is less than a mile from the San Antonio International Airport. Take a swim in our outdoor pool, and enjoy breakfast before heading out. From: Austin. Take 35 South to 410 West to 281 North Exit Nakoma Drive. Turn around the SureStay Plus Hotel by Best Western San Antonio Airport will be on the frontage road. From: Laredo. Take 35 North to 281 North Exit Nakoma Drive. Turn around, stay on the frontage road and the SureStay Plus by Best Western San Antonio Airport is just ahead. From: Downtown San Antonio. Take 281 North Exit Nakoma Drive. Turn around, stay on the frontage road and the SureStay Plus Hotel by Best Western San Antonio Airport is just ahead. From: Johnson City. Take 281 South to Exit Nakoma Drive. Stay on the frontage road and the SureStay Plus Hotel by Best Western San Antonio Airport is just ahead. From: San Antonio Airport. Take 281 North to Exit Nakoma Drive. Turn around, stay on the frontage road and the SureStay Plus Hotel by Best Western San Antonio Airport is just ahead.